OSRAM offers an array of sensors that are designed to work with the ENCELIUM® EXTEND Networked Light Management System and in some cases, other open market light management systems. Our award winning sensors enable each luminaire to be individually addressable offering greater detail and control as part of a larger networked lighting system. Our sensors are available in 0-10V as well as our OSRAM DEXAL™ interface. The OSRAM DEXAL™, Data Exchange for Advanced Lighting, is a bi-directional, digital dimming interface that combines low-power delivery to fixture peripherals and communication capability on a single secure digital bus. 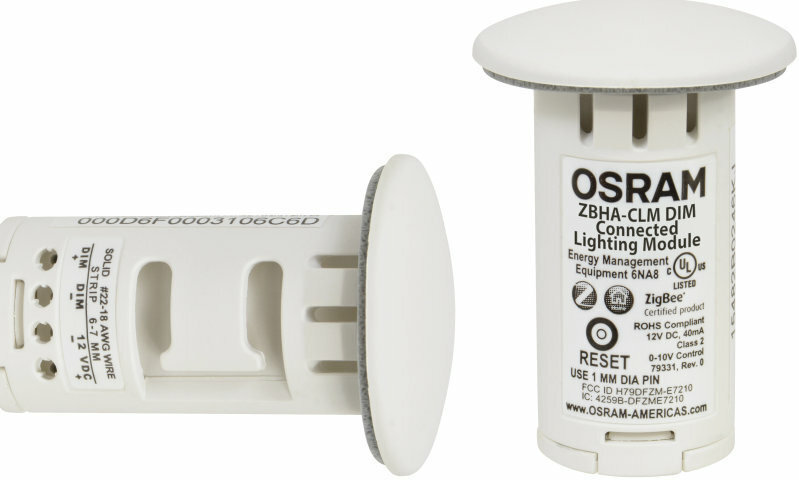 DEXAL provides crucial performance data from within the luminaire via DEXAL enabled nodes and is optimized for the OSRAM SensiLUM™ Wireless Integrated Sensor and Connected Lighting Module (CLM). Integrating the sensors/controls with the OSRAM award-winning OPTOTRONIC® Programmable LED Drivers allows OEMs to take full advantage of system compatibility and maximize performance. A fixture integrated wireless sensor that enables occupancy detection, daylight harvesting, energy management and more. The Connected Lighting Module (CLM) DEXAL is a fixture-integrated component that is capable of interfacing with OPTOTRONIC® drivers that provide crucial performance data from within the luminaire. The Connected Lighting Module (CLM) enables luminaires to be connected to the LMS that are based on ZigBee® communication protocols.